Philips, like Panasonic, is one of those consumer electronics companies that firmly believe in offering value for money with their products. 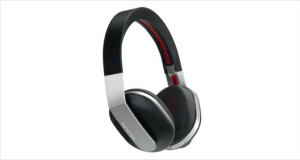 While their range spans the cheapest pair of plastic cans to the high-end-but-not-luxury segment of the headphone pyramid, they are known for their budget offerings that outclass many of their rivals. Not the makers of the best over ear headphones, but the makers of some startlingly good ones. The Philips O’Neill SHO9561/28 Headphones, the so called “Stretch” in the Philips O’Neill range of new headphones is one of the examples of “not the best, but certainly something” that we were talking about. The design of these are quite futuristic with wet-suit inspired looks that are both comfortable and lightweight as well as having a snug fit with a tight acoustic seal. 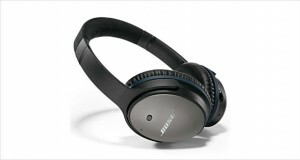 They might have been one of the best noise cancelling headphones around were it not for their average performance when it comes to music. The Stretch headphones are very average performers. While on-paper the specs look great, the audio output is quite dismal and muddy. The high-range frequency response is a little too shrill in parts and muddled in others. The mids and lows are present but they are not very well detailed, leading to shabby noise output. Plush padding, extremely comfortable ear cups aside, the stretchy dual headband design allows for a snug fit that is not too uncomfortable. The outer headband rests against your head while the stretchy inner headband that is inspired by wet-suits (thus the O’Neill connection). Dimensions7.7 x 2.9 x 6.6"
The materials used in these headphones are quite high quality and the amount of padding given will definitely save it from a lot of rugged use. It will take a lot to damage these pair of headphones at any rate. The dual headband design with stretchy neoprene and extremely soft cushions make these one of the most comfortable headphones around. However, the closed-back design makes them a little hot in the summer. Somewhat middling highs that just stay below being “good enough” and above “wow these are trashy”. The envelopment of the sounds are there but the soundstage just does not fill the ears as a pair like these should. The lows are quite good and have a good deep feel to it, but they still fall prey to the muddy sound of the drivers. The acoustic seal is quite good and does not leak too much noise into the headphones. The performance is quite average for a pair of headphones at this price point. The frequency response is somewhat below average while the noise reduction is quite above average. These are quite a difficult pair of headphones to rate. It is hard passing judgement on a pair of headphones that are this comfortable that for a few minutes you do not mind the sound quality all that much. 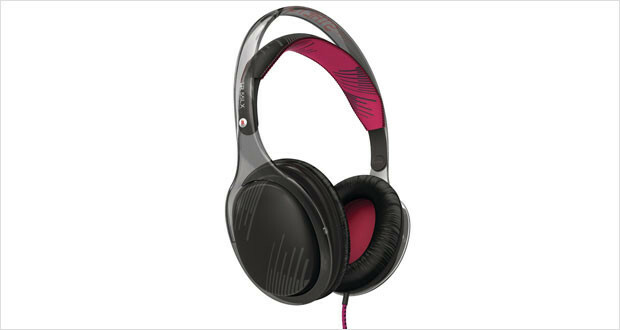 The Philips O’Neill SHO9561/28 headphones are not the greatest sounding pair in the price range of under $100. The Audio-Technica ATH M30s are a much better sounding pair that you can get for just a few dollars more. These are not the kind of headphones you would want to wear unless you just want the isolation from the world outside with some comfortable cans around your ears.